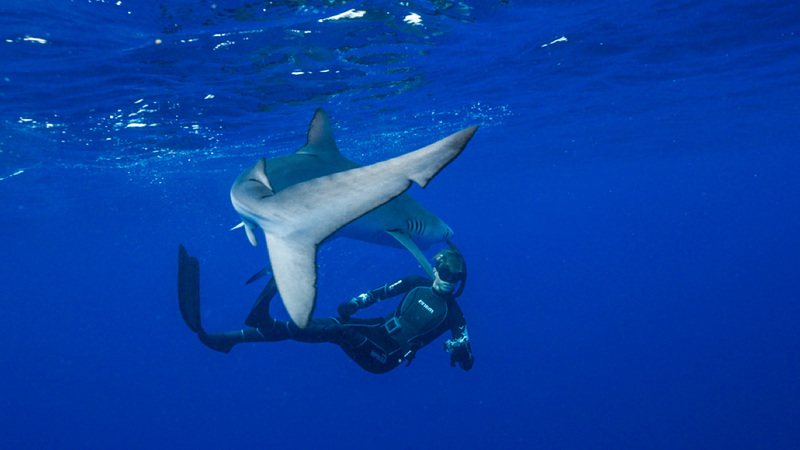 A hardly known shark destination in the middle of the Atlantic is the island group of the Azores. Nine main islands, mostly of with volcanic origin, form this little speck on the mid Atlantic ridge. The Azores, one of the two autonomous regions of Portugal, can be reached by air from Lisbon within 3.5 hours. The Shark-school™’s base of operation is located in the little town of Madalena on Horta, where PICO SPORT, the partner for this Shark-School™ workshop, has its homeport. Participants live either in very comfortable little apartments or small hotels. Dive destinations are reached by Zodiacs within 1.5 hours “in the middle” of the ocean. Depending on shark appearance we may have to chum for a while to bring them in. No food will be in the water once we drift dive with the sharks, since our sole presence will be enough of an attractant to them. 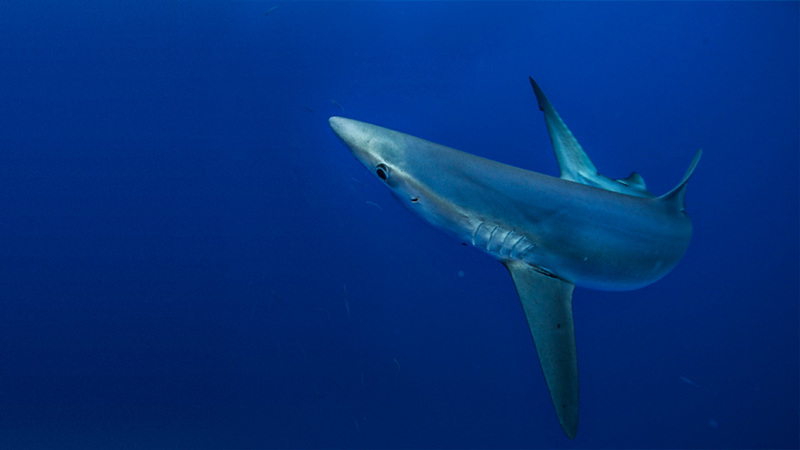 Blue sharks are ideal for all type of interaction exercises since it is a typical open ocean species with a relatively low hesitation threshold. 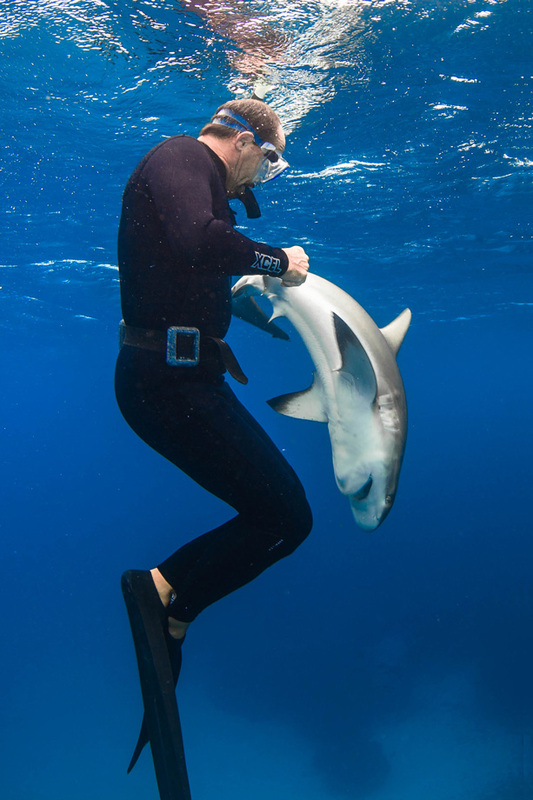 The other species that might occasionally join in is the Mako. 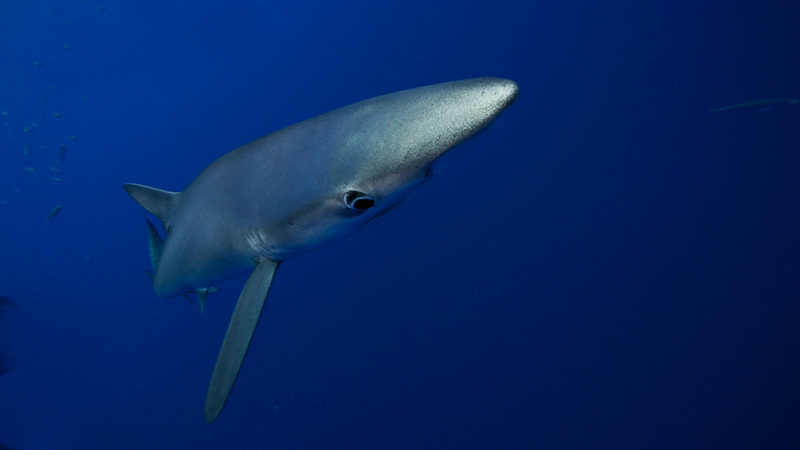 But despite its curiosity, the Mako shark is less suited to work with. 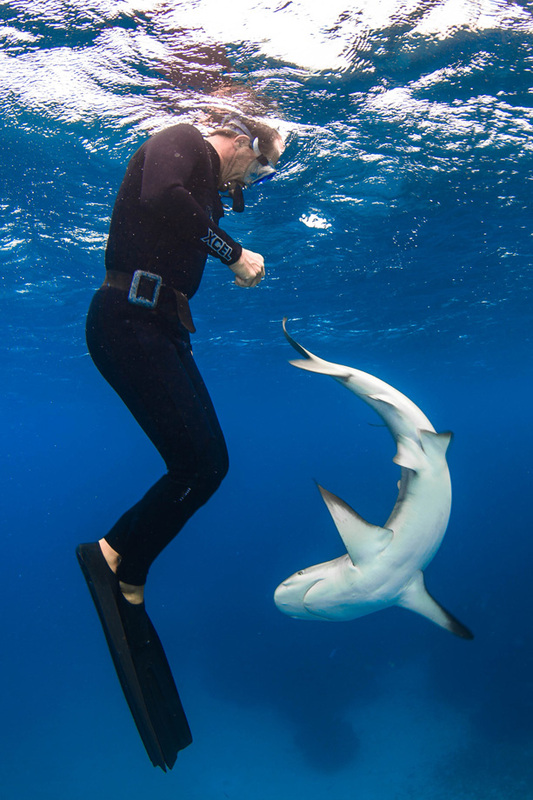 Since weather will be the main factor when diving in the open ocean, this workshop is more 'expedition style' than any other workshop with SharkSchool™. Nevertheless during the summer months, the weather is mostly quite predictable. The workshop’s lectures will be held later in the afternoon or early evening hours at the local school in Madalena. Beside sharks, we will encounter whales and dolphins as well. "Rather die free than live subjugated"